SpaceX’s Falcon Heavy rocket is expected to fly again in the coming days, if the weather is good. The Falcon Heavy will soon place the Arabsat 6A telecommunications satellite in geostationary transfer orbit. Officially, this launch is scheduled on March but it could be delayed. We know that the three boosters that will be used for the mission have already arrived in Florida. SpaceX will soon communicate about the mission. The Falcon Heavy should fly again a few months later, this time for the US Army. SpaceX wants to launch its second Falcon Heavy fast enough. For now, March 7 is targeted. A third launch could then follow fairly quickly. But launches could be delayed because of the shutdown of the US government. SpaceX has scheduled two Falcon Heavy launches during the first half of 2019. The same three boosters could fly twice in less than 60 days. This information remains to be confirmed. 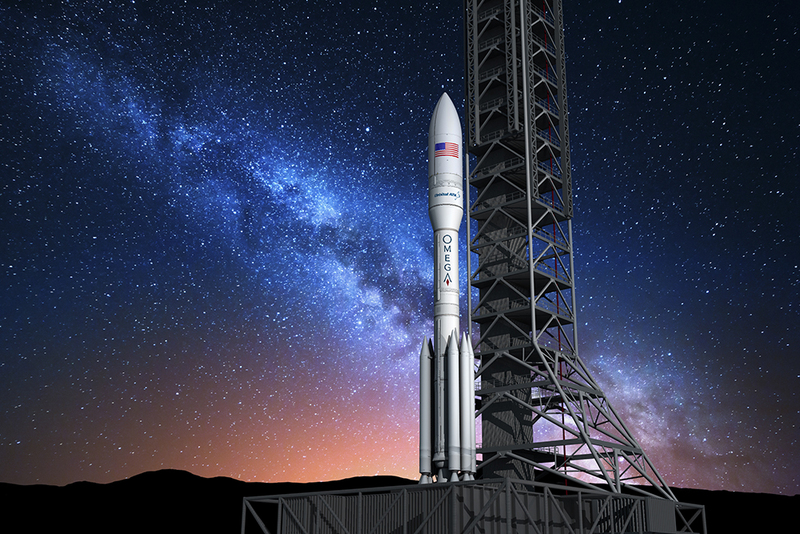 The US Air Force is the second customer of the 2019 flight, and the US military does not seem enthusiastic about the idea of ​​getting its payloads on a rocket that has already flown. The first flight of the Falcon Heavy in 2019 seems in any case to take the path of the launch pad. The boosters that will be used for this flight are already being routed on American roads. We should soon be able to see again the spectacle of the two side boosters that come to land simultaneously on Earth. And if this time SpaceX manages to recover the three boosters of its heavy launcher, the company will demonstrate highly reusable capabilities of the Falcon Heavy, which could convince new customers of the benefits that this rocket can bring them. For the moment only a few flights and some launch options have been signed. Two Falcon 9 boosters were used for the first flight of the Falcon Heavy in February 2018. Only the side boosters of the Falcon Heavy can be Falcon 9. The central stage must be structurally modified because it supports higher constraints . For the inaugural flight of February 2018, the two side boosters of the Falcon Heavy had already flown in May and July 2016. It seems that SpaceX is very eager to reuse its launchers as much as possible. The next Falcon Heavy launch is scheduled for December 2018, or January 2019. SpaceX’s heavy launcher will carry out its first commercial mission by putting the Arabsat-6A telecommunications satellite into orbit. In addition, we are still waiting for a date for the STP-2 mission that will put into orbit dozens of satellites for the US military and NASA. The launch was originally scheduled to take place in June, but it has been postponed several times because SpaceX and the Defense Department wanted to carry out additional checks. 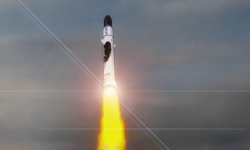 The launch of STP-2 will not take place until November 30, 2018, but it will certainly take place in 2019. For future launches, the Falcon Heavy should be assembled on the basis of the Block 5 version of the boosters. We will discover a rocket a little different from that which was launched in February. After Arabsat-6A and STP-2, it is still a little vague. SpaceX has launch options with Intelsat for example, but we do not know exactly the launch date, nor the payload. The Falcon Heavy will certainly be a rocket launched sparingly. The US Department of Defense will probably remain one of the main customers of the space rocket. But that could change in the years to come. The Falcon 9 waited a year and a half between its second and third launch. Today, it takes off almost 20 times a year. The future of the Falcon Heavy will depend a lot on developments in the satellite market. The massive constellations and the giant satellites could guarantee a much more sustained launch pace. Falcon Heavy will fly away tonight. Elon Musk, CEO of SpaceX, gave some important information yesterday. Regarding the flight, he said that a Tesla electric car and his passenger, a mannequin dubbed Spaceman, will be placed in a low orbit for six hours before being propelled out of the field of gravity. This generates a risk of evaporation or freeze propellant but will demonstrate the capabilities of the rocket for US Air Force missions. The car and passenger will then be placed in a heliocentric orbit that will regularly cross the orbits of Mars and the Earth. The car will turn around the sun. The orbit has been calculated to minimize the risk of impact with the red planet. If the Falcon Heavy flight goes well, the next one could take place in three to six months, this time with a real satellite on board. Elon Musk said that SpaceX is capable of producing these rockets fairly quickly. The businessman also said that if this launch is successful, all other heavy launchers on the planet would become obsolete, and that if he wanted he could even add two more boosters to the Falcon Heavy to make a Falcon Super Heavy with monstrous ability. He also considers a failure for tonight’s mission, it all depends on the altitude at which the rocket will be. If it explodes on its firing point, then it will take between 9 and 12 months to rebuild it. The rest of the operations would therefore be postponed for the same duration. On the other hand, if the rocket is lost but the firing point is preserved, then SpaceX will be able to make a new attempt within 3 to 4 months. There is also change regarding the future of SpaceX. Manned flight is no longer relevant for the Falcon Heavy. The mission of flying over the moon is therefore obsolete. SpaceX seems to concentrate all its energy on the development of BFR. The development of this new launcher seems to move quickly, Elon Musk has even said that the first test of his giant spacecraft will take place in 2019. The static firing of the Falcon Heavy was successfully completed last Wednesday. The 27 Merlin engines from SpaceX’s new heavy launcher generated an impressive volume of smoke. Everything went well. SpaceX is finally ready to test the Falcon Heavy. The American firm has announced that this flight will take place on February 6th. The Falcon Heavy is the most powerful rocket to be launched from the Saturn 5 Apollo program. The development of the Falcon Heavy has been quite long and complicated. SpaceX talked about it for the first time in 2012, so it took six years for the Falcon Heavy to take off for the first time. SpaceX will attempt to recover the first floor and the two side boosters. The two boosters will return to land near the launch site while the first floor will be recovered at sea. Falcon Heavy is expected to make at least two commercial shots this year. Elon Musk has finally announced on Twitter what will be the payload for the first flight of its heavy launcher Falcon Heavy. It will be a Tesla car. This is a big publicity stunt for both companies. The electric car will be launched to Mars. A Tesla car weighs 1.3 tons. On its website, SpaceX says that the space rocket Falcon Heavy should be able to send up to 16.8 tons to Mars. It is not yet known if the car will be equipped with propellers allowing it to inject into orbit around the red planet, or if it will perform a simple flyby of Mars. The design of the heavy launcher Falcon Heavy was incredibly complex for SpaceX. Even Elon Musk seems rather cautious about the chances of success of this first flight. The date of the first flight has been staggered, it should take place in January 2018. SpaceX’s massive Falcon Heavy rocket will make its first test flight in early November. The company said last week on Twitter that the three hearts that make up the first floor of the rocket have been successfully tested. The central heart of the first floor is the one that undergoes the most changes. It will undergo enormous mechanical stress, it must be reinforced and modified to accommodate the side boosters. Both boosters are recycled Falcon 9s. For the test flight, one of these two side boosters will be the Falcon 9 that served previously on a refueling mission. For the moment, SpaceX did not communicate on the payload of this first test flight. It will not be a commercial payload. No customer is willing to take the risk of losing its precious satellite with an experimental rocket. Once launched, Falcon Heavy will become the most powerful launcher on the planet until the launch of the SLS or Chinese Long March 9 launcher. Falcon Heavy already has some planned flights, including a flight to the moon, that SpaceX promises for next year. But Dragon V2 has still not been launched, so a delay is to be expected. Elon Musk announced this week on Twitter that he planned the first flight of the heavy launcher for in three or four months. The Falcon Heavy is a largely reusable launcher built on the basis of the famous SpaceX Falcon 9. From a design point of view, SpaceX has glued together the first three floors of the Falcon 9. The floors are different and the mechanical constraints of such an assembly are strong, which pushed the American company to thoroughly review its model of heavy launchers. Until the entry into service of NASA’s SLS, the Falcon Heavy will be the most powerful launcher on the planet with its capacity of 63 tons in low orbit, three times higher than an Ariane 5 for example. 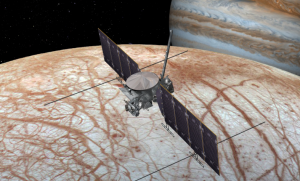 It will be able to send loads of several tons everywhere in the solar system. The Falcon Heavy will represent a technical challenge to be reusable. Indeed, it will be necessary to recover three elements with each flight, using retrofusées. The first stage and the two boosters will have to land accurately. SpaceX announces that it has signed contracts with commercial and government customers. It is also known that Elon Musk would like to use the Falcon Heavy for a mission to Mars, using a modified Dragon capsule. The space tourism mission around the Moon on which SpaceX communicated a few months ago will also use the Falcon Heavy. The first flight, however, will not carry any commercial charge. It should simply serve as a technical demonstration. Once again, it is on the price that SpaceX wants to make the difference compared to a Falcon 9 for example : a larger part of the rocket can be recovered at each launch, which should allow the American company to offer prices much lower than its competitors.